Canberra. It’s a home away from home for our nation’s politicians and decision-makers. But is it the place for a family holiday? Most definitely! My husband Ben and I recently took our three girls to Canberra for a few days to soak up the delights that our capital has to offer. And believe me when I say there are plenty of those. Of course, when people think Canberra, Parliament House, the Australian War Memorial and the National Gallery spring to mind. 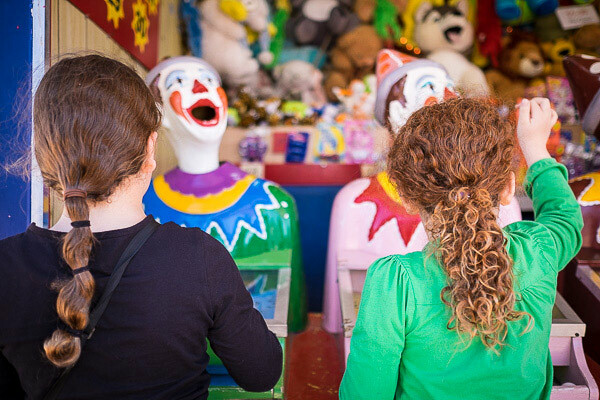 These are all worthy places to visit, and for sure should be on your list of things to do, especially with older children in tow, but there’s so much more to our nation’s capital. We timed our visit to coincide with Floriade, a month-long festival that celebrates spring. 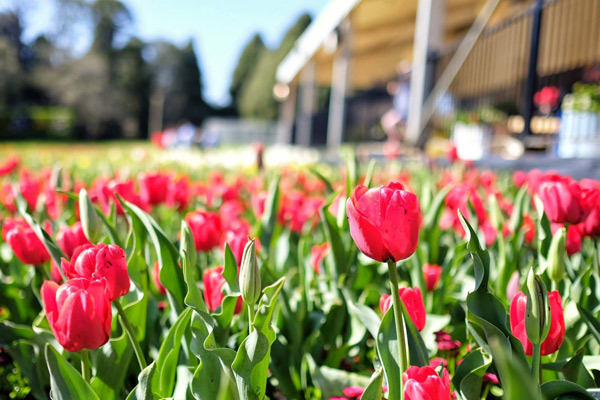 Held in Commonwealth Park, it was a spectacle of flowers, people and a rather impressive bunch of activities for kids, from rock painting and other hands-on crafts to rides and a petting zoo where children can get up close to animals. The festival is over for this year but Commonwealth Park is still a lovely spot for a family picnic. 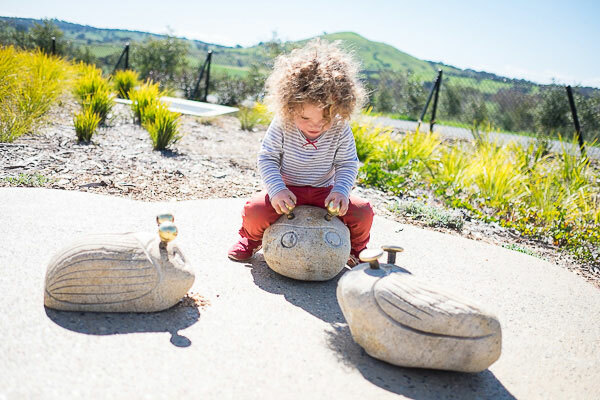 The Pod Playground at the National Arboretum is another must-see on your Canberra whistle-stop tour. My girls were enthralled, they’d never seen a playground quite like it. 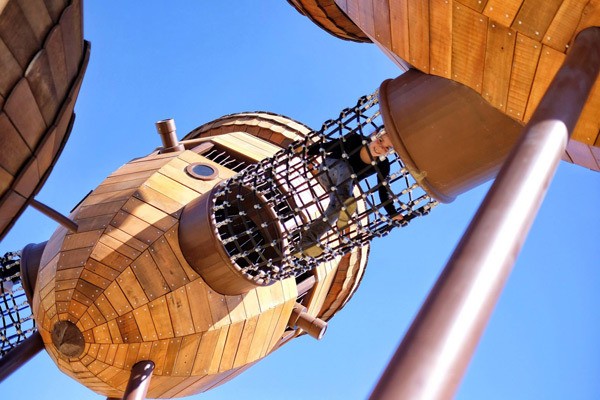 Part sculpture, part magical adventure and all fun, the Pod Playground is made up of a series of acorn-shaped cubbies connected by rope bridges that kids can climb and crawl through. Honestly, they had so much fun here. There’s less daunting climbing nets too for younger children or the less adventurous. 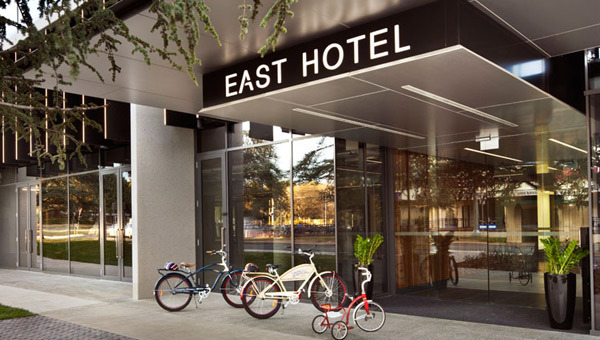 We stayed at the East Hotel in a two-bedroom family apartment. This is the perfect accommodation for families – sumptuously comfortable for the grown-ups, with plenty of kid-friendly touches as well. It’s a rare kid who wouldn’t fall in love with the help-yourself lolly bar at the front desk! All three of our kids certainly did. And I can neither confirm nor deny that I am responsible for the lower levels of strawberries and cream sweets in that jar below! The rooms were perfect – spacious and well-appointed with just the right amount of creature comforts. 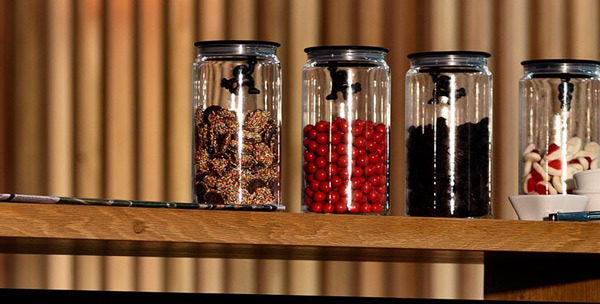 If the kids were impressed with the lolly jars, us grown-ups were smitten with the Nespresso machine in our room that meant perfect coffee whenever we liked. And every room has one! 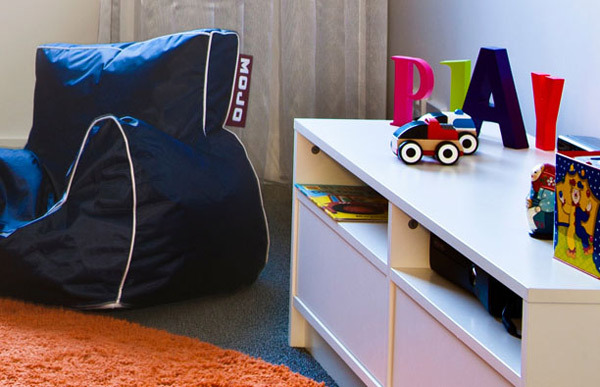 The kids’ room had bunks for sleeping as well as an Xbox, comfy beanbags for lounging, plenty of games, toys and even complementary snacks. 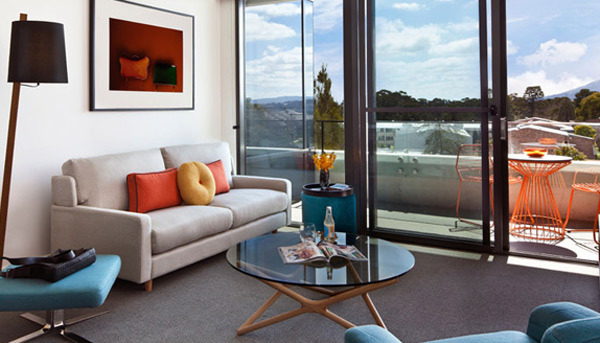 The apartments have kitchen facilities for those who prefer to self-cater and there’s a supermarket close by for stocking up on essentials, whether food or late-night nappy runs, but we recommend you stop in at Jamie Oliver’s Canberra eatery, Jamie’s Italian, for a meal. The kids’ menus come on Viewmasters, if you can believe it, and kids that eat all their greens are awarded with a special badge. Not that they’ll need any encouragement to finish their food – everything we ordered was divine and the plates all went back to the kitchen empty. Right next door is that holy grail of all things chocolate, Koko Black and we stopped here for our dessert. There is nothing I can really say about Koko Black except this. Oh. My. God. 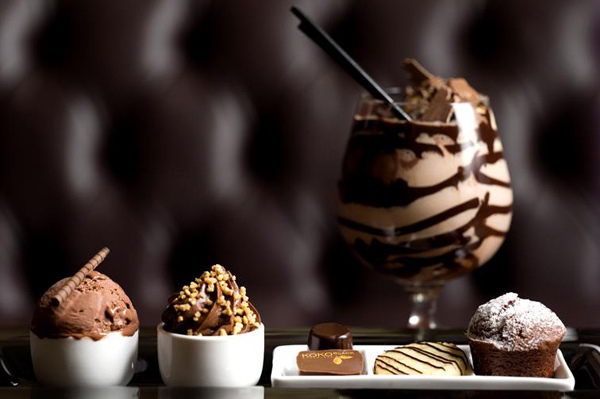 If you even like chocolate a little bit, then this Bunda St chocolate salon must be on your Canberra to-do list. After all that feasting, you’ll be wanting to find a way to burn off the calories. 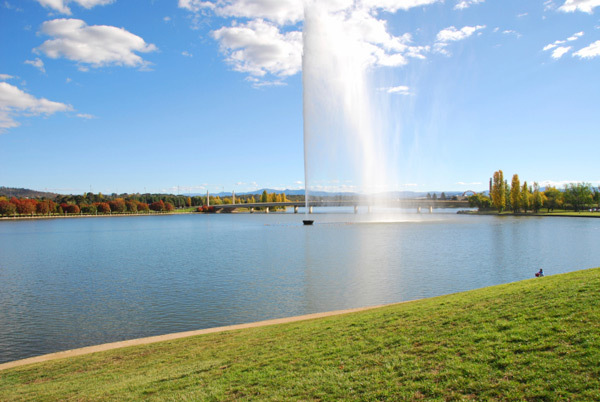 Head to that other Canberra landmark, Lake Burley Griffin, and do a spot of cycling in a pedal car from Mr Spokes. We squeezed the girls into one of these fun bikes and took a leisurely pedal around a section of the lake, stopping to feed the ducks and admire some of the sights, like the Captain Cook Memorial Fountain, along the way. 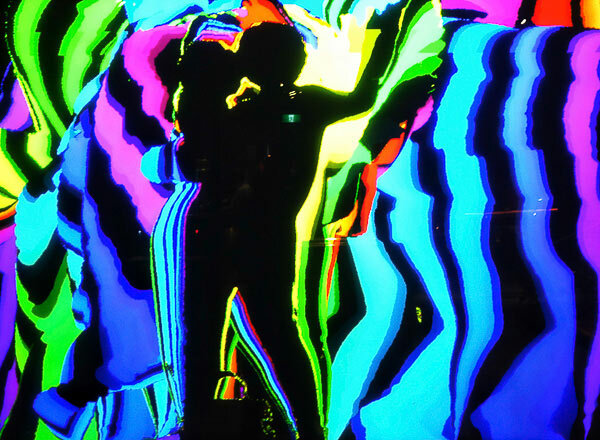 We ended our Canberra odyssey with a visit to the Questacon, the national science and technology centre, which is all about making science and tech fun for kids. I’m all for that! Expect interactive, hands-on displays that will entrance and engage the kids on countless topics, from dinosaurs to electricity, space to earth science and so many more. We had only a couple of hours at the Questacon, but you could easily spend an entire day exploring the museum. There’s plenty more to do too, no matter what age your kids. 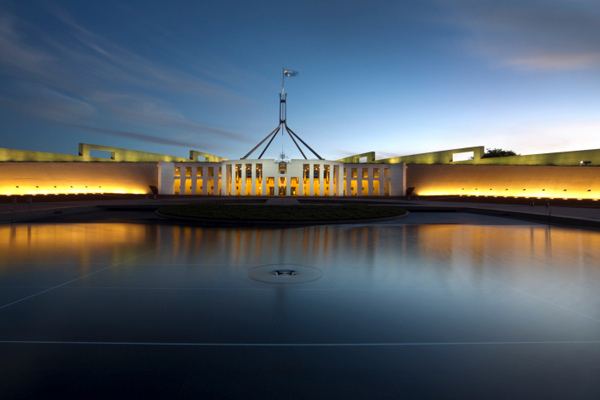 Stop by Visit Canberra for some more ideas and inspiration, or to plan your perfect family escape to the national capital.